Before I found you I was a lost soul in an ocean of sound, you were the one who picked me up and helped me focus on what was important to me and my music, without you I would still be a wandering, hopeless synth-dude. It sounds mooshy - sorry, but that's really how I feel about the Elektron Octatrack, for me the Octatrack was the piece of gear that helped me steer my improvised musical endeavours into a more structured and interesting form. I feel without it, I'd still be making those challenging drones(!) and ambient tracks, that didn't really go anywhere or do anything (nor did anyone listen to them). It is with the power of the Octatrack that I can design and perform a live set or a group of tracks with relative ease, whilst making them fun, unique and engaging to both perform and listen to. Originally released in 2011, the Octatrack DPS-1 was widely adopted by the music making masses because of it's complexity, incredible sound design capabilities and performance capabilities. In 2017, Elektron released an updated MK2 version with design cues from the Digitakt, and improved layout and navigation to allow for quicker and easier editing and the such. They also improved the quality of the inputs to provide a better noise floor when connecting external gear. they also made the buttons back-lit for better visual feedback when on stage. The Octatrack is renown for being a complicated box to master, in fact Elektron machines as a whole have this stigma attached to them and I feel that this is very true when talking about the Octa, it took me a little while to master, but now I know - there's no going back. 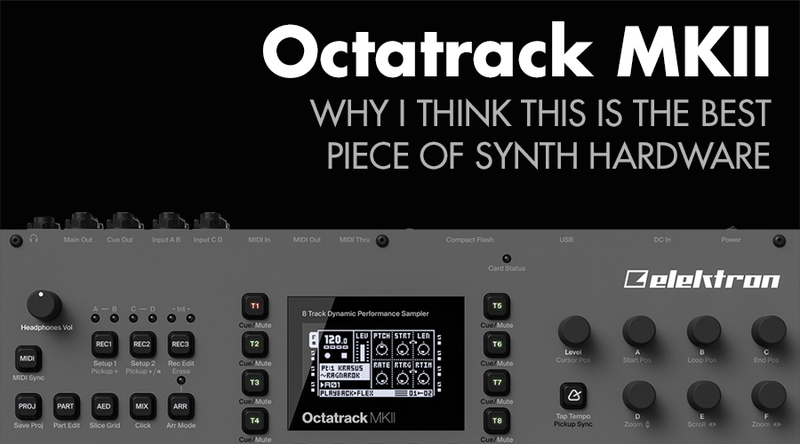 The Octatrack is dubbed an 8-track performance sampler, but as the marketing suggests it's "way more than a sampler" and I really can't stress how important this simple fact is. Sure, you can sample on it, make incredible beats and build stupidly complex songs and patterns, but where I believe the true strengths of this machine begin to unfold when you use it as a performance mixer. 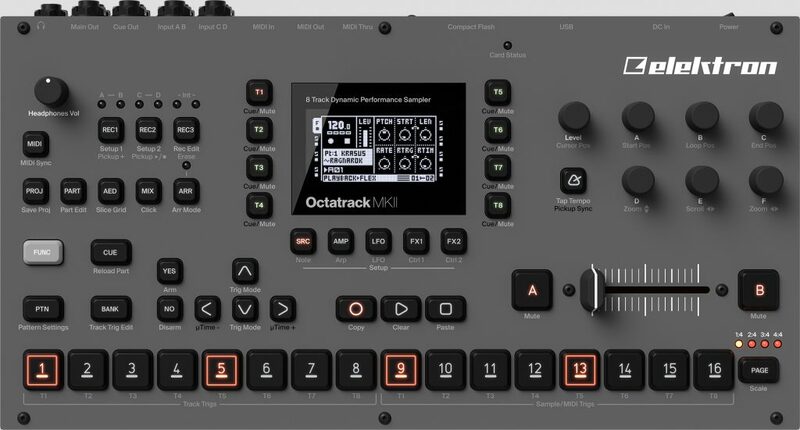 The Octatrack has eight internal tracks, it has four balanced inputs which can be used as two stereo pairs or a four single mono inputs, allowing you to connect up to four external instruments, which can be live sampled, looped, effected, sliced and rearranged as you play. In this setting the Octatrack is unlike anything else ever made. It becomes your central hub for applying effects, mixing and performing your material. There's even the option to set track 8 as a master track, so you can apply master effects or even a global beat repeat if you like. I use the Octatrack in a improvised DAW-less setting with a few grooboxes that I am very comfortable with, Octatrack sends master clock and transport control information to the machines, each of the audio puts of the synths are fed into the Octatrack where I can apply changes on the fly and more. Despite its steep learning curve, I honestly believe that the Otatrack is the best piece of hardware ever designed. It can literally do anything with audio and if you're interested in making a daw-less setup then I strongly believe that with the Octatrack, your music wont only be easier to perform, it'll be a lot more engaging to listen to. If you want more information about Elektron machines, then get in touch with us!